Solutions 4 Health have been approved to join the Joint Supply Chain Accreditation Register (JOSCAR) which enables companies in the Aerospace, Defence, Security & Space sectors to identify qualified suppliers. The accreditation mark is valued by some of the largest purchasers in the defence community and indicates that S4H have been through the process and have demonstrated commitment and appropriate credentials. 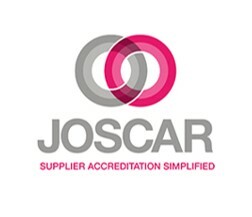 JOSCAR covers company capability, accreditations’, information security, corporate social responsibility, financial history and ethical operations. This cross-sector collaborative solution reduces the time, cost, resources and duplication currently needed to provide information.